Firework types we offer at Mark’s Fireworks can vary, but our main brand is RGS Brand Fireworks. 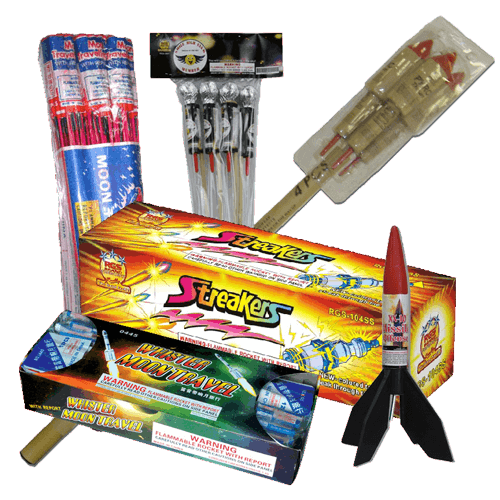 Our colorful and exciting line of Missiles, Cakes, Artillery Shells, Roman Candles, Novelties & Firecrackers have been entertaining families and groups for over 20 years with visual and audial excitement. Below are the categories of RGS Fireworks with links to our RGS website that has videos of each style.